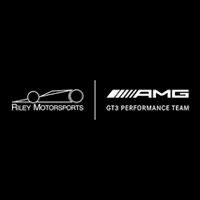 TOMBALL, Texas (August 23, 2018) – Following the two most recent rounds of the IMSA WeatherTech SportsCar championship, Riley Motorsport’s Ben Keating is pleased to announce a second entry for the remaining races of the 2018 season. Coming at an opportune time when Keating and team are looking to bolster their championship efforts, the charismatic Texan has managed to procure enough sponsorship to fulfill a second Mercedes AMG GT3 program. The idea of running a second car surfaced when Keating received interest inquiries from two new sponsors. Based in Mooresville, NC, Riley’s Collision Center joins the program with a true belief that IMSA could take their business to the next level. No stranger to motorsport involvement, the popular repair franchise has been involved in everything from figure eight racing, to outright demolition derbies, however IMSA presents a premium opportunity for the brand. Joining the venture will be, Red-Mist Auto Salvage. Based near the Florida Everglades, the popular salvage yard plans to enter into the business of slightly-used race car parts. They believe their network of corner workers and safety crews can supply a large number of take-off parts following each of the IMSA races, which will allow them to cater to the most exclusive clientele. Searching for sources of premium advertising, it has become clear to both companies that the GTDemolition category is the place to be, with the series’ crashes featured both on national television, internet streaming, as well as countless internet memes. Keating is excited to help them grow their business. While the 2-Driver line-up is not 100% finalized, Keating is looking to Peter Ludwig and Matteo Malucelli as the best candidates for the job. Native to Red-Mist’s home state of Florida, Peter Ludwig has been a constant threat in the IMSA-sanctioned Ferrari Challenge ranks. Ludwig has proven to be both talented and aggressive, the latter of which is key for this entry. Needing a quick pro in the car, the team is currently evaluating multiple driver entries, but sportscar ace Matteo Malucelli is considered a favorite, with the team citing his “flair” behind the wheel. While the car’s livery remains in development, with both partners receiving prominent placements on the front half of the AMG, Keating will retain livery control on the machine’s rear. Believing that if he puts different imagery of beef and pork-cuts on the back of his cars, then Vegan drivers likely won’t touch it. This is a creative strategy, which worked flawlessly for Porsche at this year’s 24 Hours of Le Mans. While the second entry will give Keating’s no. 33 the usual benefits of additional data, alternate strategies during the race, as well as setup information, Keating has cited the additional benefit of testing developments for 2019 as his real reasoning. With no concern for championship points on a second entry, the team can now experiment with new updates to the car. Further updates to be revealed soon.